On March 18, Indonesia’s Finance Minister Sri Mulyani Indrawati announced that the country’s Directorate General of Taxation will go after Indonesian wealth parked overseas, saying data indicate Indonesians have illegally moved Rp1.3 quadrillion (US$91.3 billion) worth of assets outside of the country. Sri Mulyani doesn’t have far to hunt, and multiple sources say her US$91 billion figure is a relatively paltry portion of the total. She can send her investigators to Singapore, an hour and 50 minutes away by any one of 35 flights a day, where, according to a 2014 Cornell University Southeast Asia Program study, at least 39,000 Indonesians worth US$4.1 million each were residing “semipermanently” and had stored non-home financial assets. The study put the total amount of Indonesian money in Singapore at a minimum of US$93 billion. According to one study, however, as much as an astonishing US$380 billion has been spirited out of Indonesia alone – 40 percent of Singapore’s total banking receipts. Among the other dictators, crooks, strongmen and satraps who are believed to have deposits – or have had – in the Singaporean banking system are Zimbabwe’s 95-year-old former President Robert Mugabe, the late Philippine strongman Ferdinand Marcos, the jailed Taiwanese President Chen Shui Bian, the disgraced former French Budget Minister Jérôme Cahuzac, former Malaysian Prime Minister Najib Razak and many more. On March 17, 2009 – a decade ago – this reporter was present when the Burmese junta leader Thein Sein, the head of what was then one of the world’s most repressive and poverty-stricken countries, flew into Singapore for a ceremony in which an orchid was named for him in the island republic’s magnificent botanical gardens. Another was named for Thein Sein’s wife. The common wisdom in Singapore is that the orchid honor was bestowed because of the amount of money Myanmar’s generals had laundered out of their benighted country and deposited in Singapore’s banks. The volume of hot money that moves through Singapore’s banking system, unimpeded by the Monetary Authority of Singapore and protected by a comforting tangle of banking secrecy laws, seems at odds with the country’s public stance of incorruptibility. An attempt to fix a parking ticket would have the miscreant hauled off to jail. The late Prime Minister Lee Kuan Yew, confronted in 1986 with corruption on the part of Housing Minister Teh Cheang Wan, who was integral in helping him transform the country from British colony, refused to look away. Teh committed suicide rather than face trial. For decades, Indonesia has been in a half-hearted war to repatriate its money, at one point in 2007 blocking the delivery of Indonesian sand used to expand Singapore’s coastline in an effort to force the island nation to agree to an extradition treaty to get back bankers who stole US$13.5 billion from 48 ailing banks during the 1997-1998 Asian Financial Crisis and moved the money into Singaporean banks. They have never succeeded. In the 2008 global financial meltdown, Indonesia’s Century bank failed, with US$1.5 billion allegedly stolen by the bank’s president, Robert Tantular, according to lawsuits filed in Singapore and Mauritius. The Indonesian Bank Deposit Insurance Corporation, which is designed to provide an insurance cover for failing banks, allegedly poured in another US$750 million. In the end, the bank was recapitalized and renamed twice more, with massive fund flows out of the country again to Singapore. Tantular was prosecuted for the theft, but inexplicably was freed in December 2018 with half his time served, provoking a new investigation by the country’s Corruption Eradication Commission. With global watchdogs increasingly cracking down on Switzerland, Singapore has become known as the go-to bolt hole for money flowing in from Cyprus, Russia, Dubai and Qatar. It is an emerging destination for private wealth management – a code word for hidden money. Its banks are known as among the safest in the world. It has never had a bank failure, although it shut down two Swiss subsidiaries during the mess created by Malaysia’s huge 1Malaysia Development Bank scandal. As authorities have put pressure on Swiss authorities to open the doors to the alpine nation’s bank records, Singapore has developed its banking secrecy laws to protect money flows, blocking regulations developed by the 36-country Organization for Economic Cooperation and Development on publication of bank customer information. According to a 2017 Boston Consulting Group report, these tight banking secrecy laws had attracted as much as US$1.1 trillion in foreign funds into the banking system. The access by less-than-respectable money seems to have reached its apex with the long-running 1MDB scandal, during which now-deposed Malaysian Prime Minister Najib Razak and his confederate, Low Taek Jho, spirited billions of dollars through the Singaporean system. Najib famously moved US$681 million sent to him by Jho Low through the Kuala Lumpur-based Ambank in 2013, using part of the money to finance the successful 2013 election won by the Barisan Nasional, and then moved the remainder back out to subsidiaries of Swiss banks, both of which were suspended from doing business in Singapore. The full story of the magnitude of theft from 1MDB and the money’s passage through Singaporean banks is told in two recent books, “The Billion-Dollar Whale by Wall Street Journal reporters Tom Wright and Bradley Hope, and The Inside Story of the 1MDB Expose by Clare Rewcastle Brown. Both books tell a ring-around-the-rosy story of billions of dollars that moved with impunity from a long string of shell companies set up in Caribbean hidey holes, zipping through the Singapore banking system without any problems until authorities in the United States and other jurisdictions started calling attention to the process. There is no better proof of that than the billions of dollars that have moved out of Indonesia, and the ease with which it has been hidden in Singapore or moved on to other obscure corners of the world. Posted in Asia-Sentinel, Corruption, Finance, Financial Scandal, Governance, Money Laundering, Moral Capitalism, Public Accountability, Rule of Law. COMMENT | It’s obvious what Najib (above) is trying to accomplish: do whatever it takes to avoid prison. Delaying tactics is one of the ways to do that. No matter what we say about them, Shafee Abdullah and his legal team are experienced lawyers who have the law and procedure in the palms of their hands. They know enough of the flaws within the legal system and its weakness in dispensing justice. Thus far, the four appeals relating to the withdrawal of the prosecution’s certificate of transfer; gag order to prohibit media from discussing the merits of the case; recovery of documents; and the appointment of Sulaiman Abdullah as lead prosecutor all could amount to delaying tactics. Although these appeals are permitted by the law, they sit uncomfortably in the grey area of whether they are truly important and necessary to protect the accused’s right or they are simply delaying tactics. My opinion is these are delaying tactics because delaying the trial is profitable for Najib. In fact, delaying is the only viable option. Firstly, the straightforward conclusion is that delaying trial would delay the eventual conviction. Delaying a day is allowing another day for Najib to negotiate his political survival with the public. To this end, Najib has been successful in orchestrating a comedic troll machine online that is targeted at making fun of the government. His social media team is creating content that would incite disapproval of the existing government. However fleeting and half-hearted this support is, at least it provides Najib with a lifeline to his political career. Secondly, delaying makes sense in a criminal trial because it almost inevitably makes the defence’s case stronger and the prosecution’s case weaker. In all criminal trials, the courts will try to expedite the trial because the consequences of a criminal trial (fine and/or prison) are much greater than in a civil (non-criminal) case. If a criminal trial could run as soon as possible, then the evidence is more likely to be intact and the witnesses’ memories are likely to still be fresh. However, there is a bind. It is also precisely because the consequences of a criminal trial to an accused are significantly more drastic than a civil trial, that the court would be more open to the accused’s request for time and appeal applications. This is especially so in a high-profile case that carries significant punishment like Najib’s, where the court would want to avoid accusations of bias against the accused. That is why the defence would attempt to make every excuse to either extract more information from the prosecution to build their own case, or to drag out the legal process. None of these methods is illegal or impermissible, but they are irksome and maddening to people. Thirdly, the most positive outcome for Najib is that delaying may mean escaping prison altogether—his best-case scenario. We are approaching the end of March 2019 and the trial is not even close to starting. 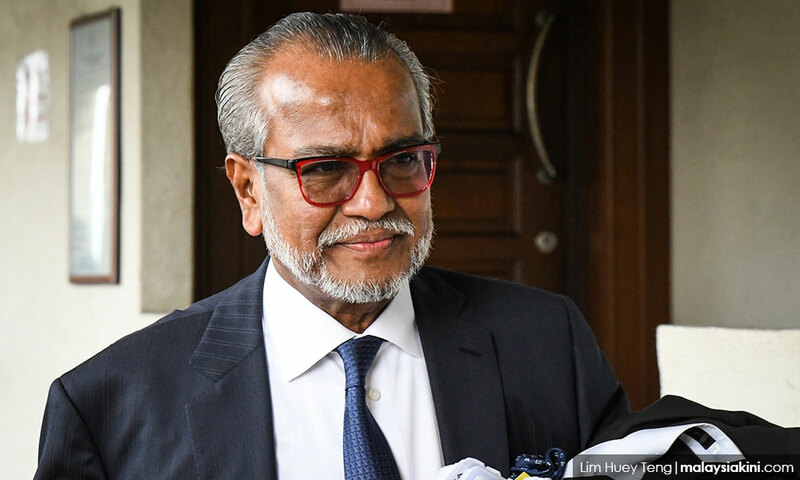 It is not surprising if Shafee (above) and his legal team successfully delay the trial for a few more weeks, even months, so that the earliest start date ends up around May 2019. 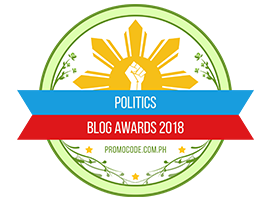 That will be one year since the PH coalition came into power. What this means is that if Najib could drag it out long enough that the trial only starts then, he has a very good chance of not having a court decision until the end of the PH term as government. This is especially when each criminal trial contains voluminous charges and documents that require in-depth exploration of the evidence and submissions that will inevitably use up a lot of time. It is likely that Najib’s tradition of using a full 5-year term before calling a general election would not be continued by the PH government. This means the next general election is likely to be around 2022. If Najib could drag it out long enough for each trial, and the subsequent appeal processes in the Court of Appeal and Federal Court, there may be a chance there is no decision before the 2022 general election. And if the PH coalition had not performed well and gets punished in the 2022 general election with Najib’s Barisan Nasional coalition returning to power, Najib may escape prison. Although theoretically, the judiciary is independent of the executive, the constitutional subordination of the judiciary since 1988, and the repeated history of controlling and fixing judicial decisions make a “Najib escape” not unlikely. Even if Najib does end up in prison before the next general election, he may go in as a martyr if the delaying tactic works. The delay would have bought the opposition enough time to build themselves as a credible alternative, and for the PH government to under-perform enough that Najib’s social media hype might translate into real support. That makes a prison term less painful for Najib. Of course, this is just my hypothesis. But a hypothesis may come true. JAMES CHAI works at a law firm. E-mail him at jameschai.mpuk@gmail.com. 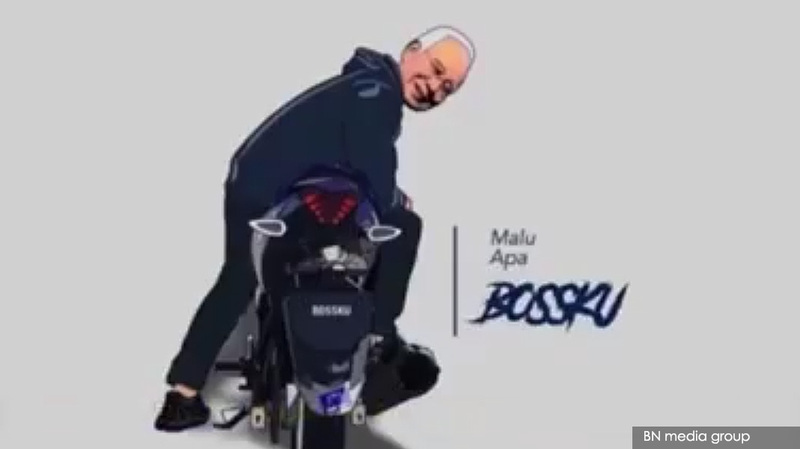 Posted in 1MDB Financial Scandal, Character and Integrity, Corruption, Financial Scandal, Kleptocracy, Malaysia, Malaysiakini, Najib Razak, Public Accountability, Tun Dr. Mahathir Mohamad, UMNO, UMNO Politics. INTERVIEW by Geraldine Tong | Bersatu Youth chief Syed Saddiq Syed Abdul Rahman said the government needs to focus on the rakyat’s well-being so that Malaysia does not follow the US in swinging to the other side in the next election. He said this in response to a question on whether Bersatu would consider opening full membership to non-bumiputera. “The most important thing now is for us to fight for the future of Malaysia and on issues close to the rakyat’s heart such as the cost of living, housing and others and to give them confidence that… we will defend the constitution. “We do not want to become like the US, where they elected Barack Obama as President and in the next election, the pendulum swung the other way and they got Donald Trump (as their president),” Syed Saddiq said in a press interview at the Youth and Sports Ministry in Putrajaya. Now that Pakatan Harapan has become the government, it is time for them to think like a government, he added, though he stressed they must still work hard like an opposition. They still need to go down to the ground, he said, such as visiting food stalls, having dialogue sessions and having townhall sessions like they used to when they were the opposition. 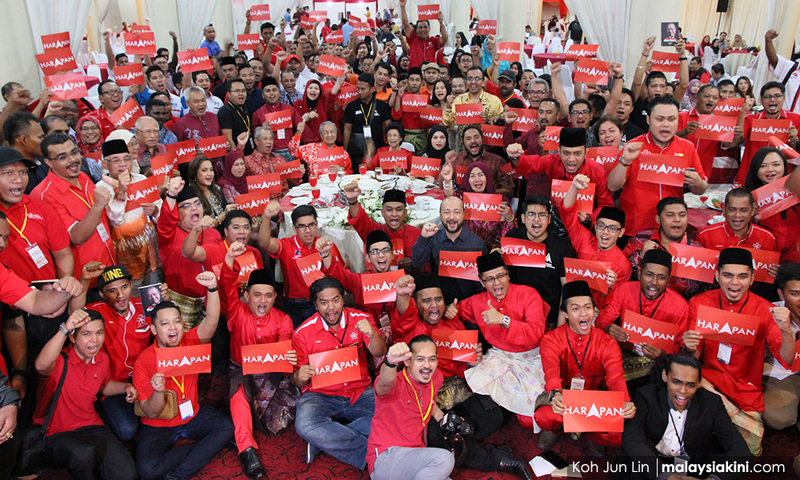 That is why, he said, Bersatu Youth holds programmes every day, as he believes this is the best way to become closer to the rakyat. “We cannot, now that we are the government, just go to official events, cut ribbons and hold meetings in our own office and call it a day. “We have to ensure that we are working like the opposition,” Syed Saddiq said. The Youth and Sports Minister stressed that the Harapan government is dedicated to defending and upholding the Federal Constitution. At the same time, they want to ensure that their leadership has integrity and is trustworthy, he said. “We need to ensure that our leadership, which always defends the constitution, will not misuse their position and power when given them. “It is no use for us to shout about defending the Federal Constitution but our hand is behind our backs stealing money (or) shouting ‘long live the Malays’ but our right hand is stealing money from Felda or Tabung Haji. “I think what the rakyat wants, what the Malays want, is a line-up of Malay leaders who are trustworthy and have integrity, who can move towards Malaysia’s future together,” he said. Bersatu, he said, needs to live up to these expectations, especially in the wake of the rally to protest the International Convention on the Elimination of All Forms of Racial Discrimination (Icerd). Though Syed Saddiq dismissed the anti-Icerd rhetoric as a sign that the opposition has no other issues to bring up, he said it is still important for Bersatu to play its role in deflecting such negative perception. “Bersatu needs to play the essential role in deflecting this negative perception and prove that the new Malaysian government will continue to uphold the Federal Constitution. “(We need to focus on) core issues. “Even there are pressures from UMNO and PAS to go to the extreme right, we should not go to the extreme right. We should not go to the extreme left. We must always be in the centre,” he said. The three-day Bersatu general assembly will kick off tomorrow at the Putrajaya International Convention Centre. Posted in Character and Integrity, Corruption, Democracy, Donald J Trump, Financial Scandal, GE-14 Malaysian General Election, Good Governance, Human Rights, Justice, Malaysia, Malaysiakini, Pakatan Harapan, Parti Pribumi Bersatu Malaysia, PAS, PKFZ, Politics, Public Accountability, Race Relations, reform, The Malays, Trumpianism, Tun Dr Mahathir Mohamad, UMNO, Uncategorized. 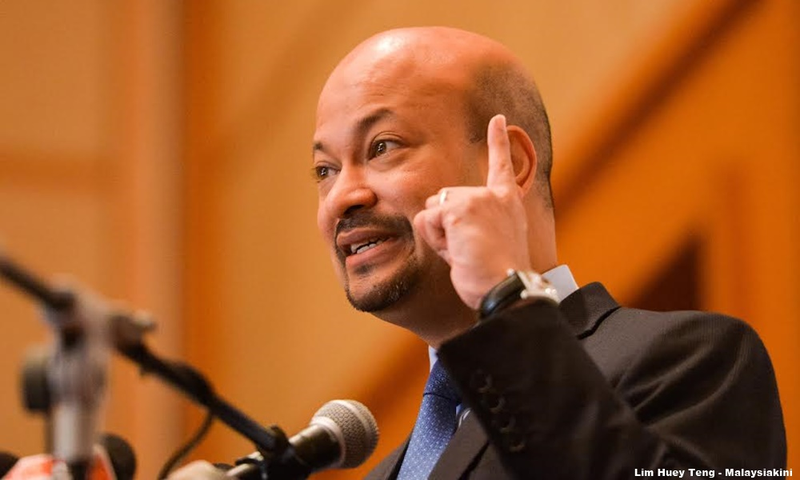 Where is 1MDB’s Brader Arul? COMMENT | Six months ago, he was a much sought-after speaker. Not so for pre- and post-dinner entertainment but to propagate to the masses that everything is hunky-dory in a company called 1Malaysia Development Bhd (1MDB). He undertook a series of 30 roadshows throughout the country. However, for all intents and purposes, they were political gatherings in support of the then ruling party. The blue buntings and minders dressed in blue vests with the “dacing” logos gave away the charade. He didn’t exactly draw big crowds or enthral them with his mantra. But the media copiously repeated his chants through interviews. On eve of Election Day on May 9, he declared that the roadshow had achieved its objectives, claiming more and more people were beginning “to understand and accept the issues facing the 1MDB”. Forty-eight hours later, Arul Kanda’s world came tumbling down. So did the fate of thousands of others who thought that their shenanigans and tom-fooleries had been adequately covered so that they could continue ripping the nation. Despite the entire hullabaloo and the worldwide coverage of the US Department of Justice findings, Arul Kanda had once famously boomed: “I have no idea of the identity of Malaysian Official 1 (MO1) in the report and do not want to speculate”— even after BN propaganda chief Abdul Rahman Dahlan’s admission on the identity. These prophetic words were plentifully and profusely reproduced in the subservient mainstream media in its election propaganda. After all, wasn’t he the Messiah who had arrived from the Middle East to save 1MDB? Wasn’t he willing to face all and sundry in any debate at anytime and anywhere? Wasn’t he touted by some sections of the Royal Military College alumni that only a “budak boy” could put the house in order? Wasn’t he the man whose magic wand could turn bad to good; wrong to right; losses to profits; and anything he touched would turn into gold? Those who questioned any activities of 1MDB were treated as “enemies of the state” and he was the much-sought after person by news persons in the BN-related media houses. He attached labels on his detractors. He could do no wrong. And their responses were spiked by editors. hen the facts and figures which Arul Kanda and company were fudging with some sort of creative accounting emerged. On May 23, the new Finance Minister revealed that 1MDB was unable to pay its debts. For that too, he had an answer— he didn’t know financial details of the company. Wasn’t he the same guy, who went on the roadshows to tell Malaysian voters “the truth” among which was his claim that the 1MDB’s debt of US$7.75 billion is backed by US$11 billion in assets? Why the sudden interest in Arul Kanda? On Thursday, Najib Abdul Razak and former Treasury chief Irwan Serigar Abdullah pleaded not guilty in the Sessions Court in Kuala Lumpur to six counts of criminal breach of trust (CBT) of RM6.64 million of funds belonging to the government. The offences were alleged to have been committed at the Finance Ministry Complex in Putrajaya between December 21, 2016 and December 18, 2017. Wasn’t this done for 1MDB which was then under Arul Kanda’s watch? And wasn’t he aware of these arrangements when he went on his roadshows? Let’s digress. 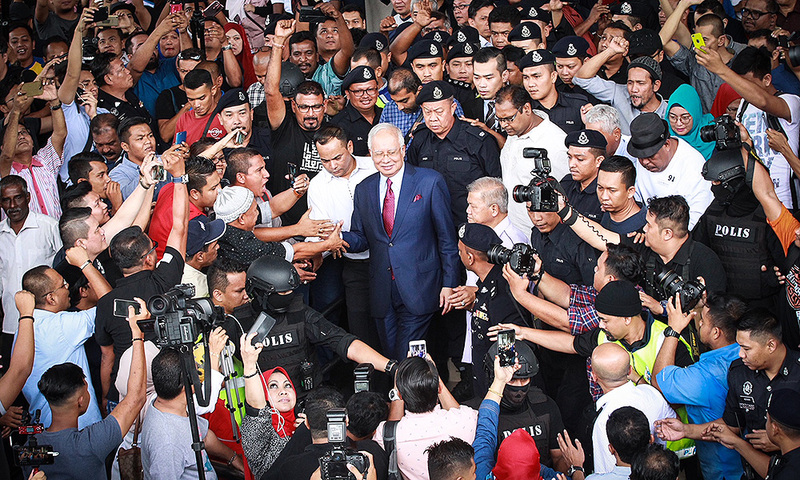 Najib wanted to gag the media when he was first charged with offences related to SRC International last month, claiming he did not want a “trial by media”. He failed. It is the same Najib now, trying to provide his defence via the media. He spoke to reporters after the proceedings, proclaiming innocence. This man and his infamous wife have been striped of their titles by The Ruler of Negri Sembilan and are now on bail pending trial for corruption, money laundering and abuse of power. “My conscience is clear that the decisions were taken in the interest of the nation, in context of when you receive certain money, you will have to pay it back. In a Facebook post, Najib said four of the six charges were related to a settlement with the International Petroleum Investment Company (IPIC), where the government had to pay US$1.2 billion in arrears last year. Let us put this into perspective. N is the owner of a hospital. Money, say RM100,000, has been set aside for payment to the food contractor, RM100,000 for pharmaceuticals and RM50,000 for cleaning services. N tells the finance director, S, to “pakat” with him to pay a bank loan unrelated to the hospital. S then instructs A, the chief executive officer to remit RM250,000 to the bank to prevent foreclosure. Is it acceptable for N to come out and claim that those transactions had to be done to avoid embarrassment to the hospital and other loans will be recalled? It is true that N, S and A received no personal gain. But wouldn’t that be wrong in the eyes of the law? We will leave it to the legal eagles to sort this out but on the issue of 1MDB, IPIC and related issues, the silence from Arul Kanda is deafening. He had previously talked about “solid assets” and “units” which could be converted to cash. Where are they? For someone who came with his guns blazing, giving Najib cover, Arul Kanda appears to have taken to the bunker as the bombs drop all around him. Posted in 1MDB Financial Scandal, Character and Integrity, civil society issues, Corruption, Financial Scandal, Leadership, Malaysiakini, Money Laundering, Public Accountability, Rule of Law, UMNO. 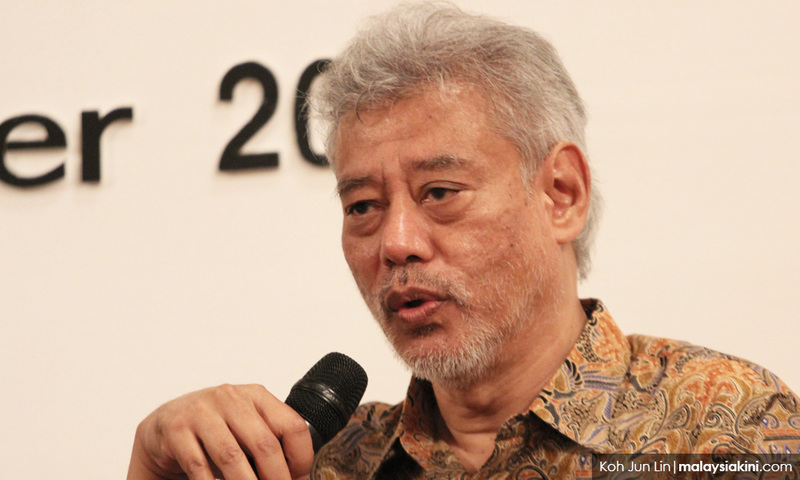 Reforming how political activities are financed in Malaysia should be on top of the government’s political agenda, said the former Council of Eminent Persons member Jomo Kwame Sundaram. He said Malaysia has a “very decadent” political system that had been abused, giving examples such as the 1MDB scandal and the inflated costs of the East Coast Rail Link (ECRL) project and two gas pipeline projects that have since been cancelled. “It is important to recognise that we have a system of political financing which has been so abused that we cannot get ourselves out of this, unless we develop a legitimate, accountable, system of political financing. “So, I would put the whole system of political financing at the top of the list of political priorities that needs to be addressed by the current government,” he said. He was speaking as a panellist at a talk titled “The Way Forward for Malaysia” last night together with Rembau MP Khairy Jamaluddin Abu Bakar in Kuala Lumpur last night. The event was organised by the Oxford and Cambridge Society of Malaysia and was attended by approximately 170 people. 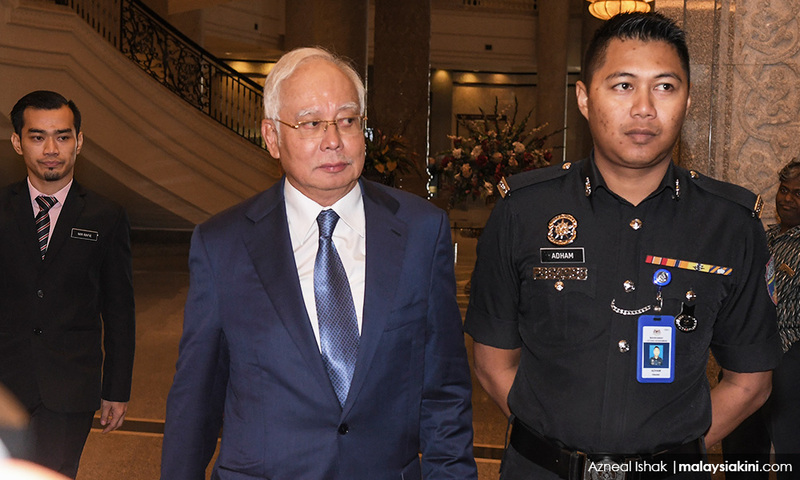 Former Prime Minister Najib Abdul Razak has been accused of siphoning money from 1MDB and SRC International and using part of the money to fund political activities through his personal bank account. Najib had maintained that the money had come from foreign donors. Malaysiakini set up a microsite in July detailing some of the outflows from one of his bank accounts to political entities. After Najib was implicated in the 1MDB scandal in 2015, he set up the National Consultative Council on Political Financing (JKNMPP) that went on to produce 32 recommendations to reform political financing in Malaysia. However, the reforms were not in place in time for the 14th General Election. 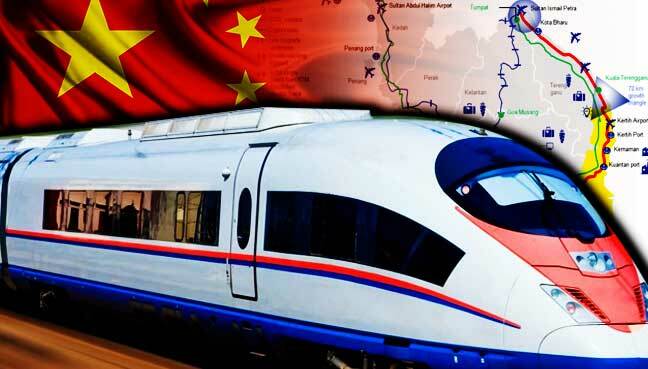 As for the ECRL project, Jomo described it as a hoax that is not part of China’s Belt and Road Initiative projects, and would not be able to pay for itself even if its development expenses are written off. 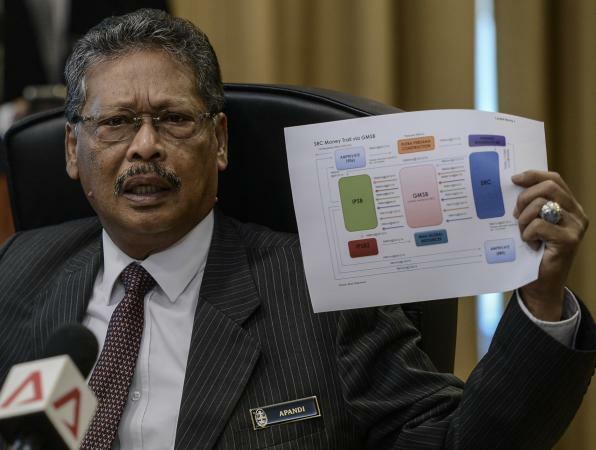 The government has claimed the cost of the project is RM81 billion – compared to the previous administration’s estimate for RM55 billion – adding it is worth no more than RM30 billion. China Communications Construction Company Limited (CCCC) Vice-President Sun Ziyu has defended the cost of the project. Meanwhile, Jomo said there needs to be consensus involving all political parties in Malaysia on what needs to be done to tacklecorruption, where political financing is only a part of the problem. Otherwise, he said there won’t be much progress in the area. “I have a great deal of concern with addressing other sources of corruption, and this of course is very, very important and necessary to address. But we have a very decadent and corrupt economic system as well as a political system. In other words, we have been thoroughly compromised,” he said. Posted in China, China-Malaysia Relations, civil society issues, Corruption, Development Planning, Ethics, Finance, Financial Scandal, Foriegn Affairs, Geo-Economics, Global Issues, Governance, Jomo Kwame Sundaram, Malaysia, Malaysiakini, Najib Razak, One Belt and Road Initiative (BRI), Politics, RCEP-Regional Comprehensive Economic Partnership. 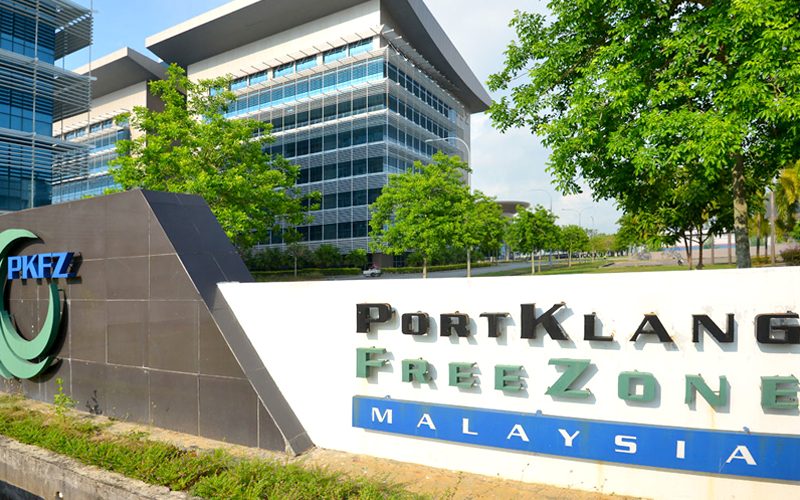 COMMENT | One workday morning in 2007, a group of immigration officers turned up at the headquarters of the Port Klang Free Zone (PKFZ) which the Port Klang Authority (PKA) was jointly developing with the Dubai-based Jebel Ali Free Zone (Jafza). They asked Jafza’s representative, Noel Gulliver, for his work permit. He had none. According to an agreement between Jafza and the PKA, it is the latter’s responsibility to obtain a permit for Gulliver. They frog-marched him from his office to the Immigration Department for “being in gainful employment without a work permit”. Ten years have passed since this incident – a culmination of an acrimonious relationship between the two parties. The immediate effect was that the project ended up in what was then the biggest financial scandal in Malaysian history. In those tumultuous days, OC Phang was general manager of the PKA. Azmi said the financial management by Phang and her team was “weak and poor” and that no cash flow projection was made for the project. But nothing happened – just an admonition and it was business as usual. Then in 2008, the newly-minted transport minister Ong Tee Keat was adamant in getting to the bottom of the issue which had constantly come under attacks by then opposition leader, Lim Kit Siang. With an equally enthusiastic chairperson, Lee Hwa Beng (photo below), the accounting firm of PriceWaterhouseCoopers was commissioned to carry out investigations and produce a comprehensive report. To cut a long story short, the damning report identified the people and the methodologies they used to syphon taxpayers’ money to the tune of millions. The report indicated that members of the board were either in connivance with the management or were “totally sleeping” when decisions were made. The report was presented to the then premier Najib Abdul Razak who set up a “super task force” to look into the matter. The issue died a slow and lingering death. The PKA board vetoed a proposal to hold members of the previous boards liable for breach of fiduciary duties. In the meantime, Tee Keat lost his ministerial post. Before Hwa Beng was dumped due to political expediency, he convinced the directors that Phang should be held accountable and be sued for breach of fiduciary duties. With a new minister and a new chairperson, many issues were swept under the carpet. Complaints to various professional bodies were withdrawn without any valid reasons and the “abang-adik” culture reigned supreme. Because of the relentless media pressure, none dared to withdraw the suit against Phang. It dragged on for years. Yesterday, the equation changed and perhaps, a few precedents were set on ministerial powers and fiduciary duties. 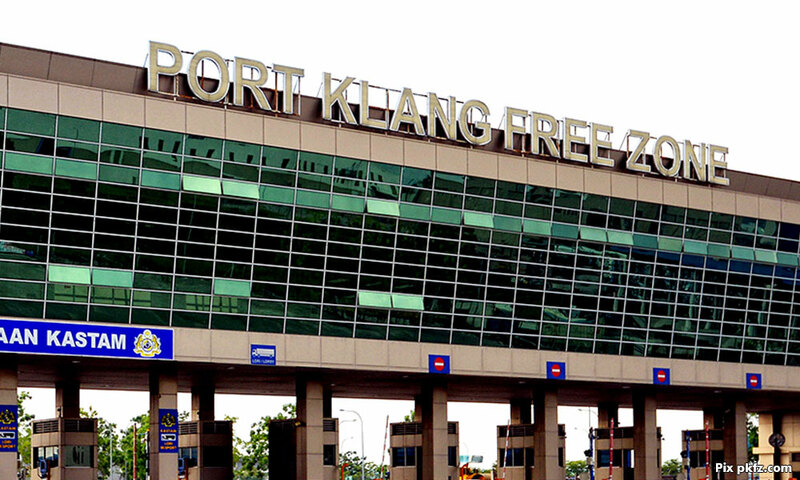 The Shah Alam High Court ordered Phang to pay damages to the PKA over losses suffered in the construction of the PKFZ. PKA called eight witnesses while Phang’s lawyers closed their case without calling any. Judge M Gunalan said Phang decided not to call key witnesses although several names surfaced during the trial including a former transport minister. “This was important to her claim that she had acted under their instructions without the need to refer to the PKA board of directors,” he said. He said Phang owed fiduciary, contractual and common law duties to PKA. As such, Gunalan said she could not bypass PKA’s board and unilaterally obtain instructions from the minister of transport or the minister of finance before entering into and committing PKA into binding agreements with huge financial implications. The fate and culpability of the 23 directors (during whose tenure the breach occurred) are now in limbo. The Federal Court had allowed Phang to include them as co-defendants. They include former cabinet ministers, Dr Ting Chew Peh and Chor Chee Heung, and executive chairperson of Westports Malaysia Sdn Bhd G Gnanalingam. While the legal eagles argue over the culpability of the respective parties, the judge must be applauded for incorporating the doctrine of fiduciary duties for people holding office in high places. With this ruling, those holding office in government-linked companies; government-owned companies and statutory bodies registered under the Companies Act can longer offer the defence of “instructions from the minister”. They cannot bypass their boards, however trivial the issue is.This decision should encourage other government agencies to institute proceedings against their directors for breach of fiduciary duties and other financial irregularities. R NADESWARAN has been following the PKFZ affair for more than a decade and has a written book on the scandal. The court decision is not a grand finale to its issues. There are many more and it isn’t over till the fat lady sings. Comments: citizen.nades22@gmail.com. Posted in Character and Integrity, Corruption, Financial Scandal, Governance, Justice, Malaysiakini, Public Accountability.